Literature news! : Literature is news! 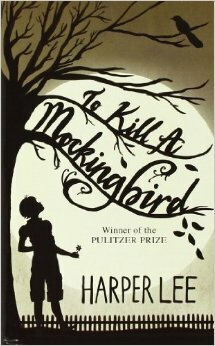 If you have been living under a rock, let me point you to a blog entry that I wrote earlier this year, when it was announced that Harper Lee was going to publish a second book, a sort of earlier-written sequel to To Kill a Mockingbird. Under rock: read HERE. And as of yesterday, the publication date has come (and gone). And it is a madhouse. 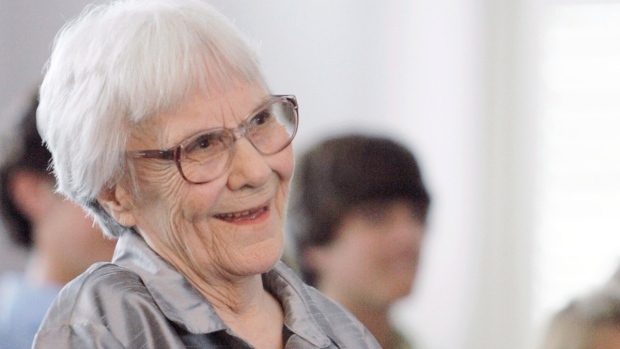 (Exaggeration only if you have not been trying to get your hands on a copy of anything Harper Lee.) To be honest, I was going to let the monumental day pass, remaining oblivious because 1) hard covers cost more, 2) I knew my voice would be drowned in the virtual cacophony of opinions, reviews, blogs, articles, and speculation, and 3) I am in the middle of an important project. 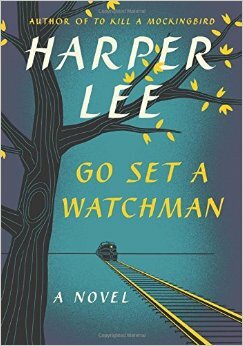 But I always intended to get around to reading the new Go Set a Watchman and also the old To Kill a Mockingbird (which have awkwardly similar titles, by the way) since I hadn’t read the latter since high school. Like later this year, maybe? And then review them and make my own speculations about Harper Lee. However, a kind person graciously gifted me with a Kindle copy of Go Set a Watchman on it’s release date and–quickly nearing the end of one Bronte biography and, let’s face it, desperately needing a break before the next one–I decided Why not join in the frenzy? As of last night, every copy I could find online of To Kill a Mockingbird was either overpriced or out of stock, including the library having every single copy on hold up to like thirty people. Today, I was told by used bookstores, “No, I don’t have any copies left and can you believe all this?” before my local bookstore offered me one of the two that they had left on the shelves. I am going to guess that I will have finished the biography I am reading and sailed through both of Harper Lee’s books in a week. Then I will have my quiet say. Until then, I have two things to add to the racket. One, it is some strange juju that rockets one particular book and one particular lady to such heights of popularity and fortune. It is amazing to me that people are so in love with the cool math that is science, when in our daily lives one plus one rarely equals two. Think about it. I have a love affair with first sentences. (For my blog on that, see HERE.) This is almost the perfect first line. It is melodic and dramatic. It is mildly suspenseful. (Perhaps more suspense would be better.) It tells you about where and when you are, and also about the main character. It even has an element of surprise in its last word. So that’s what I have for you. 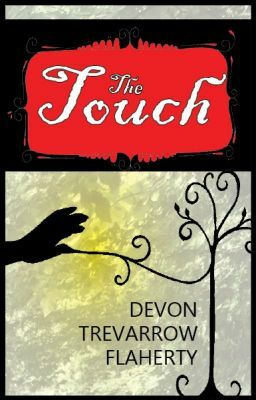 A balk at the wheels of fortune, a first line, and a promise of a review. Enjoy the spotlight, people, while it lasts.